Debbie, We all saw the new joint venture that Cleaning for a Reason is making with American Airlines. What an amazing relationship. Debbie, what you are doing for the community and for the women involved with this organization is not only life changing but inspiring. 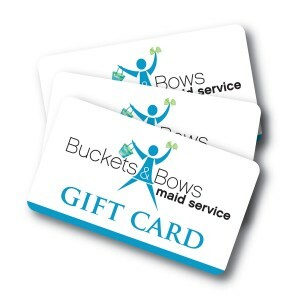 We are all so proud to be partners with Buckets and Bows and all that you do. Congratulations on this and many more inspiring endeavors in the future.